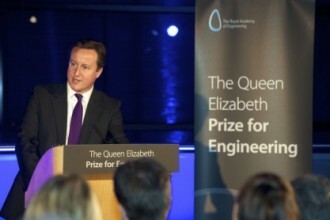 Five Internet pioneers were recently announced as winners of the Queen Elizabeth Prize for Engineering, the first of its kind. The award carries a cash prize of £1 million (just over $1.5 million) which will be shared between the five recipients. Tim Berners-Lee is a British computer scientist that is most known for creating the World Wide Web. He drafted a proposal for an information management system and initiated the first successful communication between an HTTP client and server over the Internet in November 1989. Marc Andreessen is an American entrepreneur best known as the co-author of the first widely used web browser Mosaic. He was also the co-founder of Netscape and is a co-founder and general partner of venture capital firm Andreessen Horowitz. Vint Cerf and Bob Kahn are American computer scientists that are collectively regarded as fathers of the Internet. Both are responsible for helping to create the Transmission Control Protocol (TCP) and the Internet Protocol (IP), the fundamental communications protocols used on the Internet. Louis Pouzin is responsible for inventing the datagram. He also designed an early packet communications network known as CYCLADES that influenced Cert and Kahn during development of the TCP/IP protocols. The award was created to celebrate exceptional work in the field of engineering and is being nicknamed the Nobel Prize for engineers. The recipients will travel to London this June to receive the award from Queen Elizabeth II. Andreessen, a multi-millionaire, said he would donate his winnings to worthy causes.